Planks are the ultimate core exercise because they work your transverse abdomens, the deep abdominal layer that gives your muscles a strong base. Best of all, planks can be done anywhere, as you don’t need any equipment to complete them. Keep in mind, of course, that proper form is key — you don’t want to aggravate your back muscles. 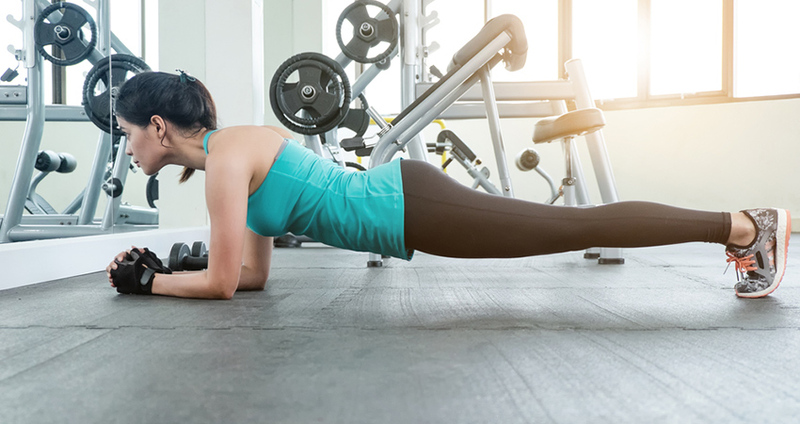 Whether you’ve hit a flat-belly plateau or are simply looking for new ways to work your core, why not fire up your ab muscles by completing this seven-day plank challenge? These exercises can be incorporated into an existing routine, or completed on their own first thing in the morning before you head off to work. The standard plank is a useful move to work into any routine, and the perfect exercise to have in your back pocket. Start on your stomach and push up with your hands below your shoulders, keeping your back straight, and your head and neck in a neutral position. Hold this position for 30 seconds to one minute. If you can go longer, then definitely challenge yourself. Repeat this for 10 sets. Remember to breath throughout the movement. You can increase or decrease the amount of sets or plank time depending on your desired intensity. Side planks are an ideal movement to incorporate to tone the oblique muscles. Start on your right side and lift yourself up onto your right hand. Make sure your right hand is directly under your right shoulder. Raise your hips so that your body is straight at a vertical angle. For an increased challenge, lift your left leg. Hold on your right side for 30 seconds to one minute before switching to the left side. Repeat the same steps on the left side. As always, increase or decrease the amount of sets and plank time. Position yourself into the standard plank position from day one with your body straight, head and neck neutral, and your hands directly under your shoulders. From there, jump both feet out so they are wider than hip width distance. Jump them back into the center. Continue this jumping sequence for one minute and repeat it 10 times. Take breaks between each jump if you need to in order to keep proper form. In addition, you can walk each foot out one at a time and then bring them back in one at a time to decrease the intensity. 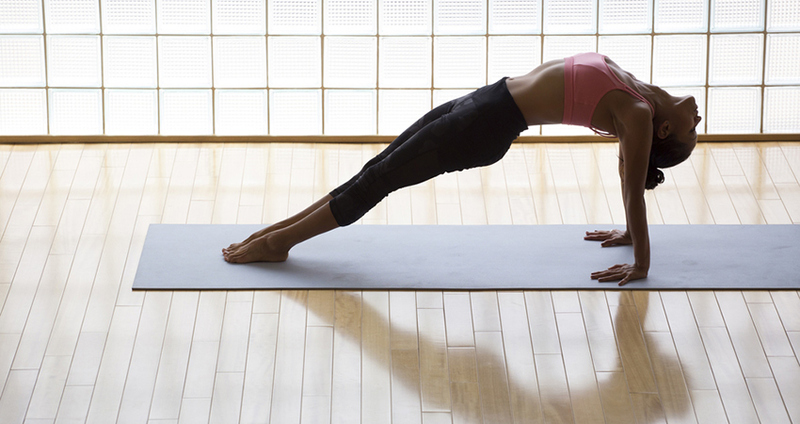 This move takes the traditional plank move and makes it slightly more dynamic. Hold yourself up into the traditional standard plank, which you will be rocking at this point in the week. Shift your weight forward past your shoulder while still maintaining a neutral spine. Shift back into your standard plank. Continue this sequence for one minute and complete 10 sets. If you go slowly, you will feel the burn more, so try to be deliberate about your movements. Remember to increase or decrease sets and plank time as this is your workout. This plank works your back and arm muscles. This is great to do because it helps balance out your core muscles by strengthening your lower back. Lie on your back and push up with both arms keeping your palms on the ground and fingers pointing toward your feet. Keep your hips lifted and your body in a straight line. Remember to maintain a neutral head and neck throughout movement. Hold the position for 10 rounds of 30 seconds. This move targets the booty as well as the core. Start in the standard plank position with your hands below your shoulders. Raise your right leg up and hold for a few seconds before dropping it down and simultaneously raising your left leg up. This workout move isolates the glutes as you lift and lower in the plank position. Repeat the sequence for one minute and complete 10 rounds. This plank workout emphasizes not only your core, but your obliques too. Begin in the standard plank position and bring your left knee up to your left elbow. Hold for a few seconds before bringing your leg back to the plank position. Bring the right knee up to the right elbow and then return it back to the start position. Repeat this pattern for one minute and complete 10 rounds. Mix and match these plank exercises into workouts after your seven-day challenge to keep the core movements in your routine.